Last weekend I did the unthinkable. I flew with Reese to meet Hubby at Disney to celebrate her second birthday before her sister, Kendall gets here. That's right, I braved Disney with a toddler. While 7 months pregnant. And seriously, we not only survived it, but we had a blast. I thought I'd share with you how. First things first, we heard from people a lot that Reese would be too little to really appreciate it and it would be a waste of time. Now, I'll admit, Hubby had to be in Anaheim anyways so the only real extras we paid for was my flight (Reese still flies free until 2) and our Disney tickets (again, Reese is still free). I think you have to judge things based on your kid, but we knew Reese would love it. She knows who the main characters are (Donald is her favorite) but the only other Disney thing she knows is Snow White (her Halloween costume). A few weeks before our trip we got her a Disney Princess book so she could at least recognize something else at the park. Either way, she's never going to remember this trip... but WE will. And we'll have the pictures to show her. In our trepidation about how she would react to the park, we decided to only go to Disney one day and to do a Character Breakfast the day before (We totally changed our minds, but more on that later). The Character Breakfast was seriously the best thing we did all weekend! There are a few different character breakfasts to choose from but we wanted to eat with the main characters: Mickey, Minnie, Daisey, Goofy, Pluto and Donald. Can you tell the only show we really let her watch is Mickey Mouse Clubhouse? so we chose the Surf's Up! Breakfast at Disney's PCH Grill. You guys? It was awesome. The food was actually really delicious and there were a ton of options (all buffet) including an omelet station. Kids under 3 are free (yay!) and adults were around $30. The Characters come around one by one to the tables while you're eating breakfast which is awesome. We got a lot of one on one time with the characters because Reese is so darn cute and they loved her there weren't many families there since its the off season. But the best part is that every 15 minutes all the characters and all the kids get together and dance. Or just spin in circles until you fall down if you're Reese. Seeing how much she loved it was worth the breakfast price tag. That first day, I think we lost a lot of time by heading back to Toon Town first. She had already seen most of the characters at breakfast and Toon Town is at the very back of the park and, although its super cool, it was a waste to go there first. We road Roger Rabbit and met Goofy, but could've done that later in the day. If you get to the park early I would 100% for sure hit up Fantasy Land first. There are a ton of rides a toddler can go on and those rides all have the longest lines. We walked past 15 minute waits and came back to 30+ minute waits. She walked through the castle, rode dumbo, snow white, peter pan, the story book boat ride and Pinocchio We didn't let her go on Mr Toad's wild ride because we remember that being scary (ps we covered her eyes during the witch part of snow white) and small world and the tea cups were closed Boo Hiss. We had lunch in Fantasyland but the only place there serves burgers, pizzas, and sausages. We now know we shouldve gone to Toon Town for lunch as they serve those foods but also Sandwiches and Salads for adults and a kids power meal for $5.99 of yogurt, a cheese stick, whole wheat goldfish, fruit, and a drink (milk, water, juice). We had a bunch of Plum Organics Mish Mash Pouches packed as snacks and I'm sure we could have brought sandwiches but we were ok with buying lunch in the park. One of the rides we were almost at the front of the line for shut down for technical difficulties so we got a free pass to ride any other ride in the park. It was around 2:30pm and we knew Reese wasn't going to last much longer. We decided we'd rather go home for dinner and have her nap and then come back for fireworks (she never napped so we never made it to the fireworks but timing wise it would've worked) So we took our free no line pass and we immediately headed over to Nemo. Nemo was probably Reese's favorite ride. She spent the entire time in the submarine saying "Neeemmmooooo! Where aaaarrrreee youuuuuu?" It was adorable. We headed to the shuttle stopping only to get my favorite treat in the world- the Mickey Premium Bar. I figured that being as pregnant as I was, I deserved this special one time treat for hiking through the park. But my joy was short lived as the ice cream was quickly spotted and devoured. The next day (Super Bowl Sunday) we had a plan in place. We again loaded up with snacks and headed to the park. Our shuttle got their right as the park was opening so by the time we walked up to the gate the lines were barely there. We knew most people would be heading toward toon town, fantasy land, and the big mountain rides. So we veered left and headed straight to Pirates of Caribbean and literally walked right on. Reese liked the ride a lot but this is the only ride she seemed to not want to do again. There are two kind of big drops down and after the first she had no reaction but after the second she was saying "all done". We then rode the Jungle Cruise (again no line) and she loved seeing all the animals and she loved sitting in at The Tiki Room. We took her on the Haunted Mansion only because she is too little to realize it's spooky. She just thought the ghosts were regular people. There is this one part where a little scary guy jumps out at you in a graveyard but I covered her eyes and she didnt seem scared at all. I know my 4 year old nephew freaked on this ride so I think it was just her young age that made it ok.. it'll probably be years before she rides it again. We then headed to the Winnie The Pooh and rode it twice in a row. We also went on a hugging rampage met a few characters with barely any line because most people weren't yet on this side of the park. We then took the train over to Toon Town for the above mentioned lunch and then walked over to Tomorrowland. Hubby and Reese road Autotopia and Hubby swears this was her most favorite thing she's ever done in her life. He let her man the car's steering wheel while he pressed the gas and he said she really thought she was driving the car. He said she laughed hysterically the entire time! Sad I missed it but it is not for preggos. We also rode Buzz Lightyear and she just spun us around and around. We rode the Astro Orbitor, Nemo (again) and the Alice & Wonderland ride. Then it was time for the parade. You guys- we by chance got seats on the right side of the courtyard looking toward The Matterhorn and the parade came straight toward us. Reese loved it and her only beef was that we wouldn't let her run down the street chasing characters be a part of the parade. After the parade we left the park and went home to watch the Super Bowl, but had it not been on we would've left before the parade for a nap and dinner and come back for the later parade and the fireworks. 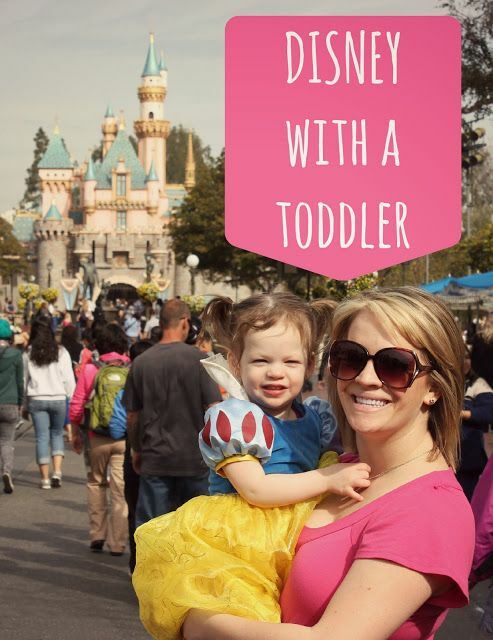 If you have any questions, I'll be answering them in the comments section so hopefully this post can help out other parent's wondering if they can do Disney with a toddler. All in all, we had a wonderful time at Disney with a toddler. Reese won't remember the trip but in the moment she was SO EXCITED it was wonderful and so totally worth it. 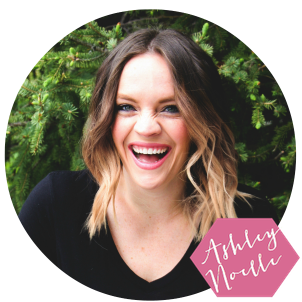 If I can do it in my third trimester, you can do it, too! No idea how you did this girl! But it looks and sounds like you had so much fun! What a fun way to celebrate your girls birthday. I went to Disney 7 months preggo with our 15 month old a couple of years ago and it was fun, but it was tough walking around and not being able to do a lot. Now my kids are 3 and 4 and it is much easier, but seeing her face back then at the character breakfast was precious:) I don't think a trip to Disney can ever be a bad thing! We are going next week and surprising her for her 5th bday, I can't wait! You look so great and this looks so fun! Disney is my favourite place to be. We went to Disney with my brother and sister-in-law (who are 14 years younger than my husband) when they were 18 months. We had a blast!!! And we still talk about the fun memories we made....even though they were so young, it was still a special trip for everyone! Oh my gosh! I have the same picture of me hugging Tigger when I was about her age! Glad you guys had such a good time! We went last year when little was 14 months (In June, when it was warm & crowded) she had a blast! We are going again this April when she'll be 2 and hopefully the weather & crowds will be less severe. I CANNOT WAIT! Just like you said, the littles may not remember, but they do have a FANTASTIC time & YOU/5OHHubby will remember, + the pictures!!! I just finished making our photo book from last years trip & it has given me Disney fever so bad! I can't wait for April! My family (me, hubby & twin boy/girl 2 1/2 yr old are going to Disney in 20 days, mid March. I'm excited, never been there. We're staying at All Star Music Resort!! We're flying in from Ohio. Is there a grocery store outside of Disney & nearby to buy inexpensive snacks to bring into park. I'm praying for good warm weather! !